Found one file extension association related to Souptoys Toybox and 1 file format developed specifically for use with Souptoys Toybox. 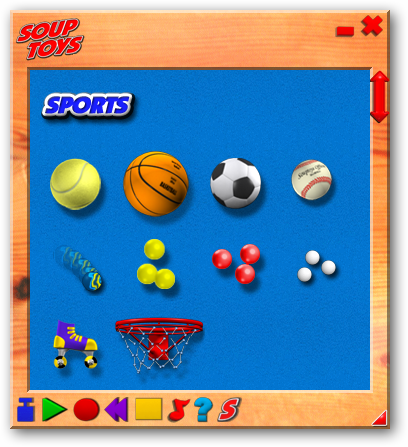 Developer / company: Souptoys Pty Ltd.
Souptoys is a collection of more than 100 different toys for your Windows desktop and the latest version is completely free. As an extra bonus, it also includes a brand new toy xylophone. The Souptoys Toybox software seems to be old or discontinued. If you need more information please contact the developers of Souptoys Toybox (Souptoys Pty Ltd.), or check out their product website.